Driving Efficiencies Through Industrial Agile Practices - Infosys Consulting - One hub. Many perspectives. Co-authored by Lakshminarasimhan Raghunathan, an enterprise agile transformation expert at Infosys Consulting. The time is ripe for enterprises to take a leaf out of the books of a number of leading financial institutions and some of our top clients who have completed successful agile transformations. Orchestrating agile at an enterprise level may pose a unique set of challenges, but significant efficiencies and financial benefits can be realized by augmenting industrial agile into the core operations and across the in-take, prioritization, product road-mapping, and engineering and automation areas. See also our recent POV on this overall thematic. The concept of “industrial agile” is about enhancing scale, agility and quality of software development via a continuous flow of products and services. Here are some of the key patterns we have identified at the core of this concept. Redesign organizational structures from functional to a value stream-based structure. Organize around value stream to improve flow, transparency, prioritization, end-to-end sequencing and delivery of business capabilities. In order to realize these benefits, align operational value streams with business and fine-tune the systems that support this structure. This approach steers the organization away from a project-driven execution style. Furthermore, it optimizes the end-to-end sequencing, so that enterprise business capabilities are built once and reused many times. Leverage design thinking to emphasize the customer journey. Amplify focus on customer empathy to gain a better appreciation for the customer journey from both a business and technology perspective. This results in an improved minimum viable experience (MVP) definition, fosters built-in innovation and, ultimately, superior API design. It helps guard against either constructing small MVPs that can’t be released or building large MVPs that are essentially waterfall. Shift from a project-driven funding model to a value stream-based funding model. By adopting a lean governance using cadences, the strategy and investment alignment can be simplified. Drive outcomes rather than outputs using objectives and key results. Manage continuous product roadmap and capacity against segmented investment priorities. From product-centric awareness to product-centric execution. Ensure business and platform capabilities are exposed as API endpoints that are agnostic to project-by-project needs. Enable product engineering teams to mix-and-match platform capability offerings to innovate and deliver market value at the shortest sustainable lead time. Arrange scrum teams to improve efficiency. Treat each scrum team as one unit that must operate in one location. However, multiple scrum teams can be distributed geographically. The organization of team-of-teams, such as Agile Release Train (ART), must be limited to two working time zones to ensure efficiency. Learnability at scale, knowledge management. Establish immersive learning mechanisms such as engineering dojos along with a digital enablement platform for learning that makes it easy to capture and share knowledge as well as enable talent to quickly adapt to new tools. “Agile is continuing to evolve and grow in ways that the 20th-century management fads didn’t. 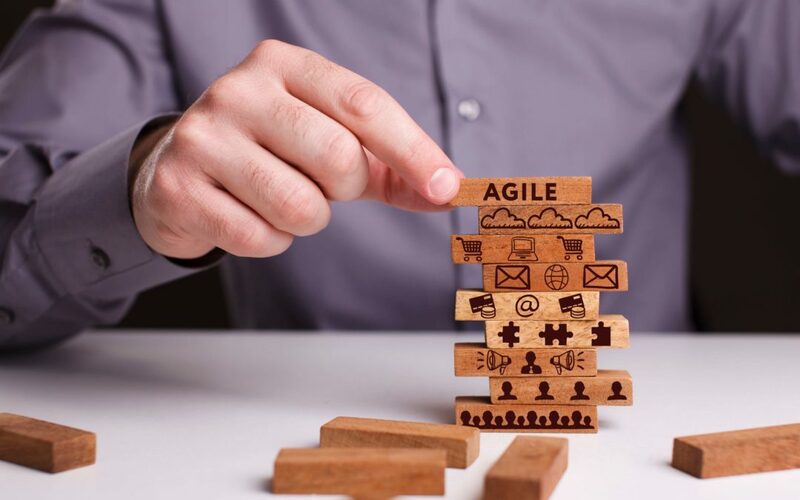 Agile has welcomed and incorporated other ideas like Lean and Design Thinking, and continues to evolve and grow; for example with DevOps.” – Steve Denning, Forbes. Integrate DevOps, business, product and technologies as a cohesive team. Embrace integrated tooling using a platform-based approach for DevOps that provides a seamless engineering experience from build to deploy, supporting heterogeneous technologies. Continuous deployments to production, and release on demand. Measure platforms on the ability to support design patterns to perform canary releases, dark launches, feature toggles, selective deployment, self-service deployment, blue/green deployments and automated deployment into production, via a continuous integration and continuous improvement (CI-CD) pipeline to improve flow. For an agile transformation to be truly sustainable at an enterprise level, it requires more than just a process change. A holistic approach along with a complete culture shift is imperative. This was a short introduction to the basic concepts of this topic. Stay tuned for our next post where we will take a closer look at the strategies for a successful transformation. Want to learn more about applying industrial agile practices to your organization? Contact us today. Vishwanath currently leads our enterprise strategy and architecture practice in North America and is based out of our New York hub. He has over 18 years of experience in technology strategy and transformation initiatives primarily in the financial services industry. His areas of expertise include IT strategy and roadmap, IT cost optimization, IT modernization, multi-speed IT, and IT integration. 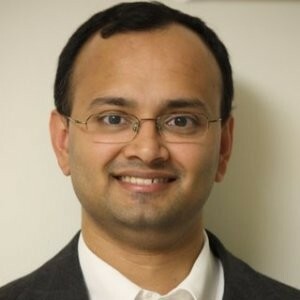 Prior to his Infosys journey, Vishwanath worked at ICICI Bank and IBM.